ANNAPOLIS, Md. — Quarterback Malcolm Perry ran for 223 yards with three touchdowns and Navy renewed its rivalry with Lehigh by rolling to a 51-21 victory Saturday. Perry spent the afternoon dodging and spinning around defenders in the Midshipmen's triple-option offense that amassed 629 total yards. The junior set the tone with touchdown runs from 5 and 24 yards in the opening quarter. He had another deft 30-yard scoring run in the third quarter. Perry also threw a 49-yard pass to slotback CJ Williams that set up a 1-yard run by Zach Abey, who has six touchdowns. Williams has three receptions for 104 yards. The Mountain Hawks (1-2) played without tailback Dominick Bragalone, who is the school's all-time leading rusher with 3,722 career yards. He suffered a head injury last week against Villanova. Mountain Hawks quarterback Brad Mayes was 19 of 31 for 158 yards with three interceptions. Navy (2-1) starting safety and defensive captain Sean Williams was out with a head injury suffered last week against Memphis. Navy safety Jacob Springer started in his place and had a first-quarter interception that set up a touchdown. 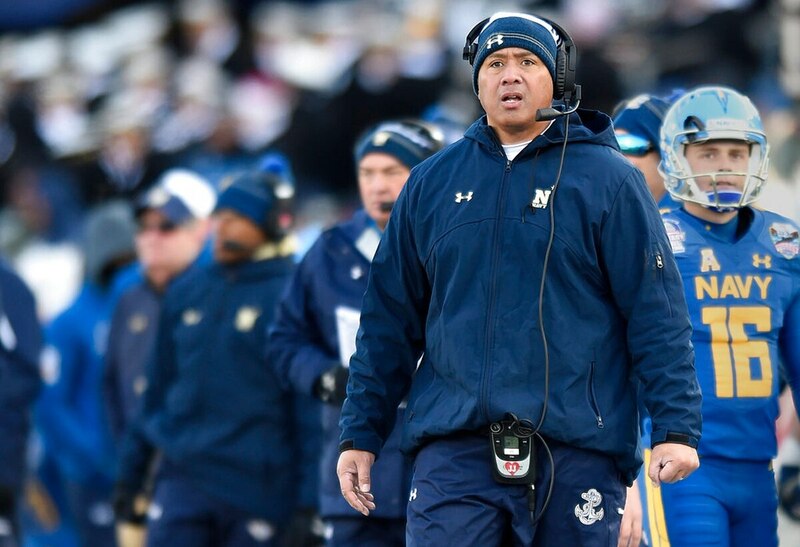 Navy is handing the keys to its triple-option offense to Malcolm Perry. Lehigh: The Mountain Hawks play Pennsylvania in the the second of three consecutive non-conference road games Sept. 22.